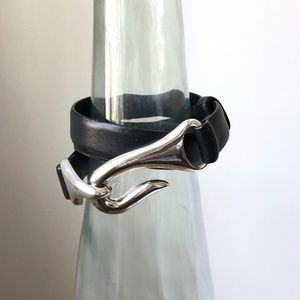 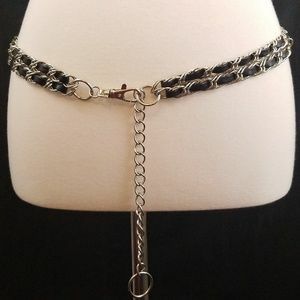 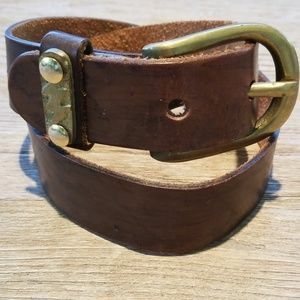 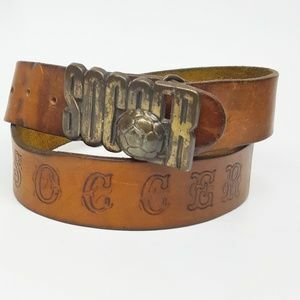 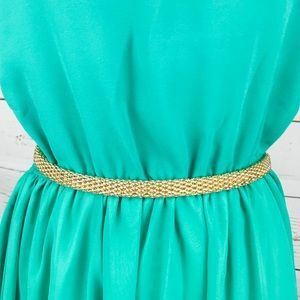 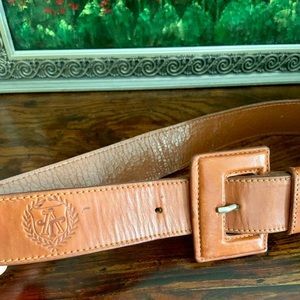 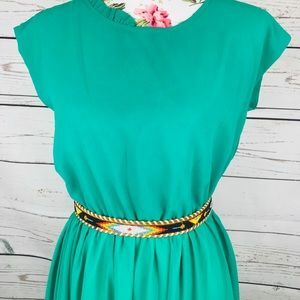 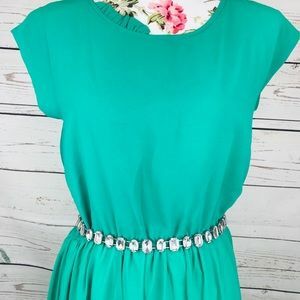 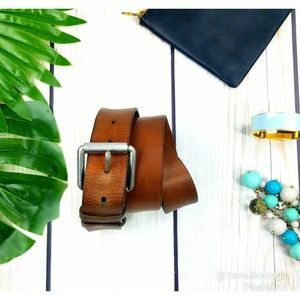 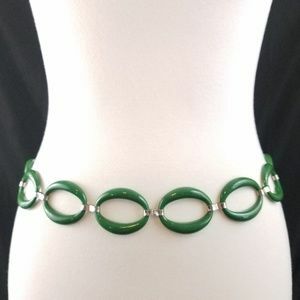 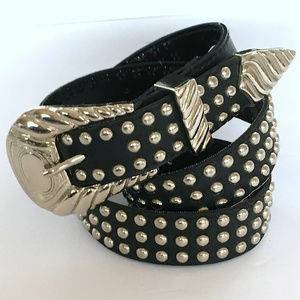 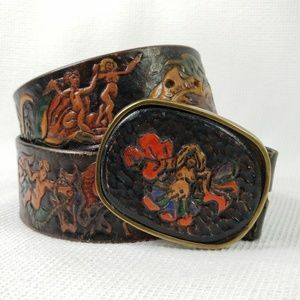 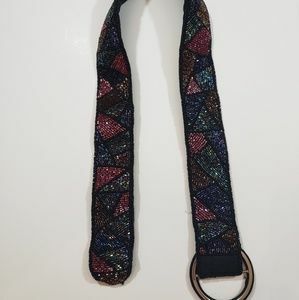 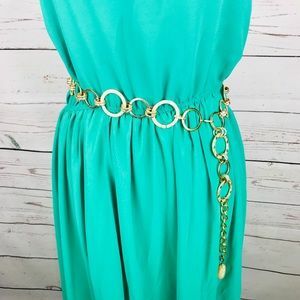 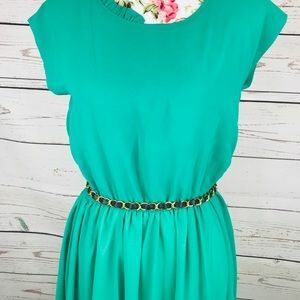 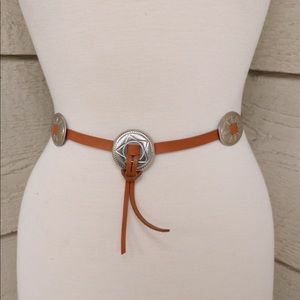 Vtg 90s Leather Belt. 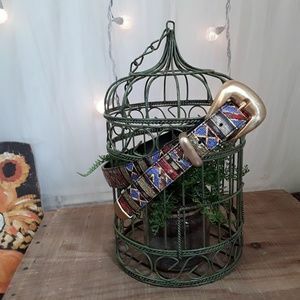 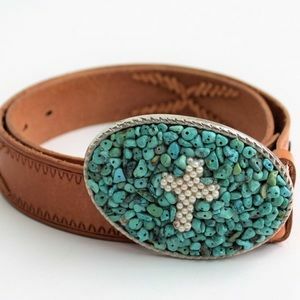 Loud Southwestern design. 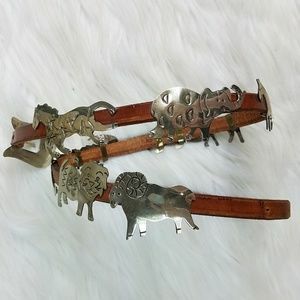 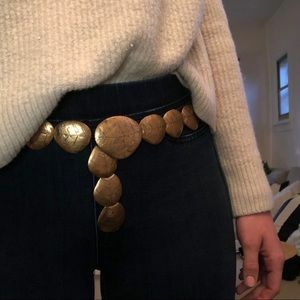 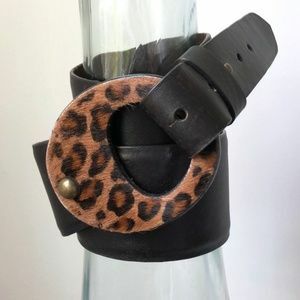 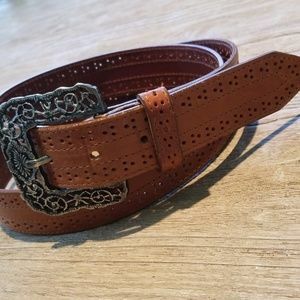 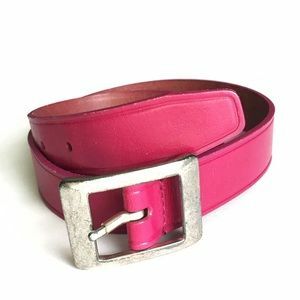 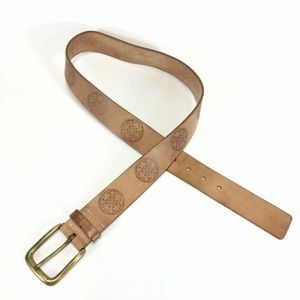 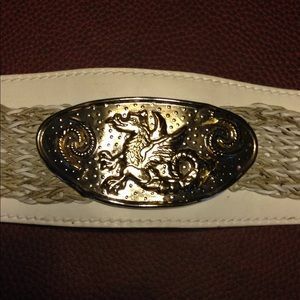 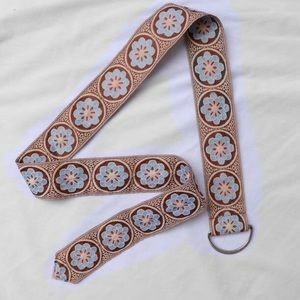 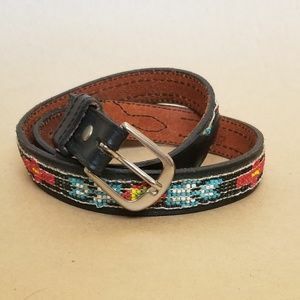 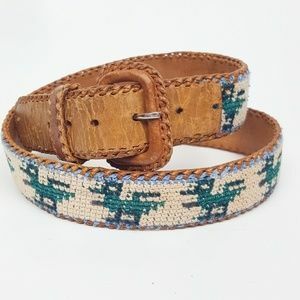 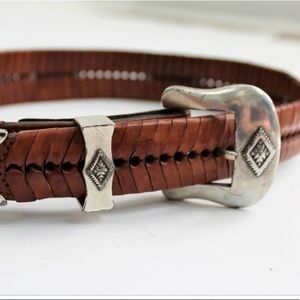 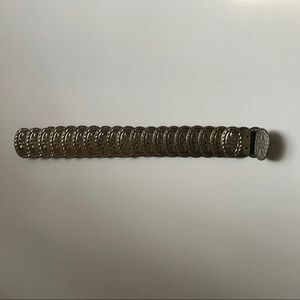 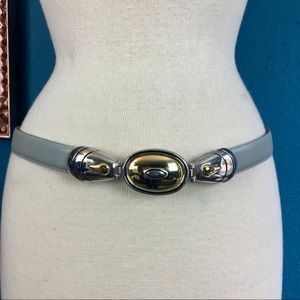 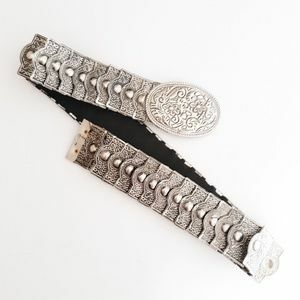 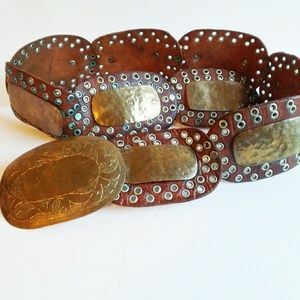 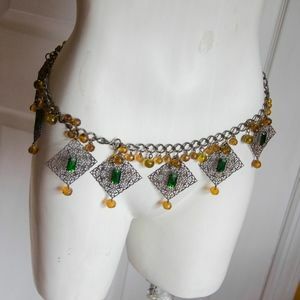 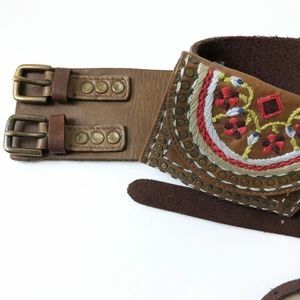 Genuine leather, Moroccon concho style belt.